Z & Y Bistro is a new Asian Fusion restaurant in San Francisco’s historic Chinatown, located on the same block as the from the original Z & Y Restaurant. 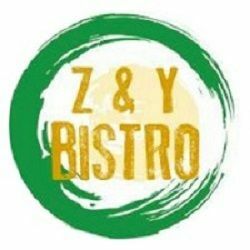 Stop by the Bistro and enjoy a variety of regional Chinese and Asian dishes ranging from yakitori skewers, Lanzhou ramen, and a selection of the classic Chinese favorites Z & Y is famous for. Also don't miss our expanded wine bar with the perfect pairings for the diverse mix of flavors on our menu.